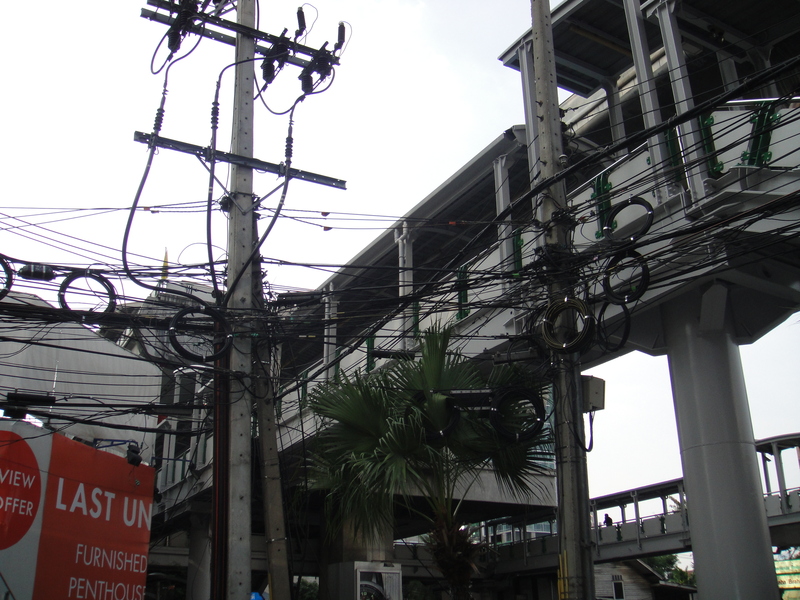 One constant source of fascination for me has been the massive number of wires on the poles in Bangkok. In the USA there will be 2-3 wires attached to poles, visit Germany and all wires are underground. What’s with all the wires? There are times when wires are just dangling, barely above head height. Fires hazards? What about the heavy rains and all these wires? I asked around a bit, with some help of Thai speaking friends. With the massive amount of building that is taking and has taken place, large numbers of wires were run down the poles on the small streets (Sois) to reach the main junction boxes on the larger roads. When a new wire is strung, old wires aren’t removed. The new wires are just wrapped around or on top of the old wires on the poles, some of the old wires just break and dangle. Dangerous? I don’t think and have never seen anyone injured, but I haven’t grabbed a hold of any wires and don’t intend to. This is just one of the reminders of the differences in a fully developed country and an emerging country. No judgment, just a difference; and a big job for someone to identify the live wires and eliminate the dead wires. 1 Response to What’s with the wires? 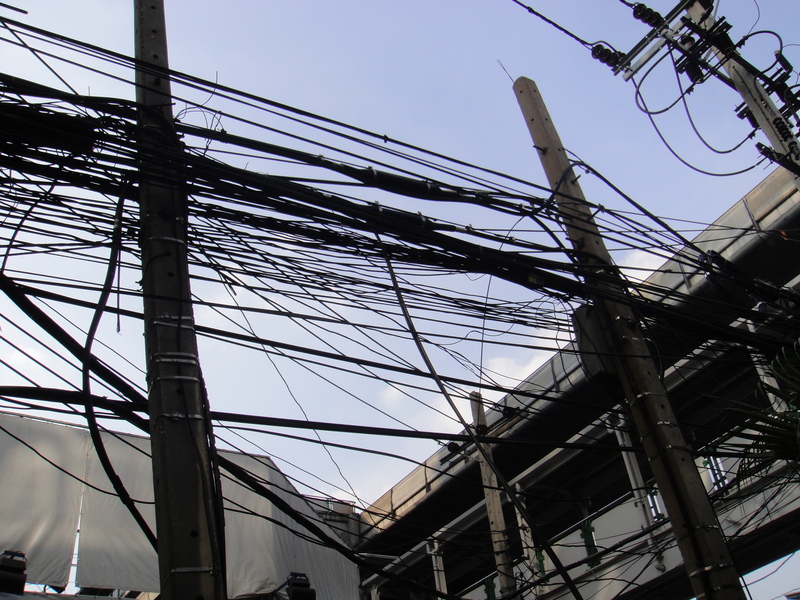 In Bangkok currently researching solar energy – maybe this wire mess is part of why the gov has backed such a sweep in residential rooftop solar in Thailand, then people don’t need all these wires (don’t know how much this has affected Bangkok on its own yet). Did you ask about electricity theft? Would be very interested to find out more; great post and read.